The Pentagon and spy agencies have been busted manipulating the Internet – including social media – in order to promote false propaganda and to stifle dissenting information. Earlier today, newly-released Snowden docs showed that British spies manipulate polls, website popularity and pageview counts, censor videos they don’t like and amplify messages they do. We’ve documented for years that big social media sites like Reddit are censored and manipulated. Check out this blog post with reddit statistics. Notice Eglin Air Force Base as the “most addicted” city. This is about a year ago, so reddit has been getting heavily sh!tp0sted by government employees for at least this long. Here is a paper funded by Eglin AFB studying how to establish majority views, social control, influence conversations, contain unwanted information. 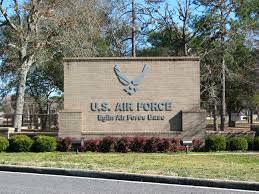 Eglin AFB is a major hub for Pentagon domestic manipulation programs online. A lot of this got established right when the war on terror started. Then in 2012 the Smith-Mundt Modernization Act legalized Pentagon / other agency domestic propaganda. That’s not to say what we think of as ‘propaganda’ or manipulation wasn’t going on before – just that they no longer have to plausibly believe the narrative they try to trick you into buying. All this stuff is like 21st century cointelpro and project minaret. You are aware of GLP yes? Of tavistock? If not you should google both together and you will have yourself an adventure! I've been meaning to go down this rabbit hole for a while now. Funnily enough, I know and have heard of the connection and with a personal anecdote to contribute, I used to post a lot of stuff on there that I found interesting. Well, one day, I posted our Crop Circle thread link to there and within minutes I was permantly IP banned and the thread was removed and I had an "unlimited I.P. ban"